Hey there guys! 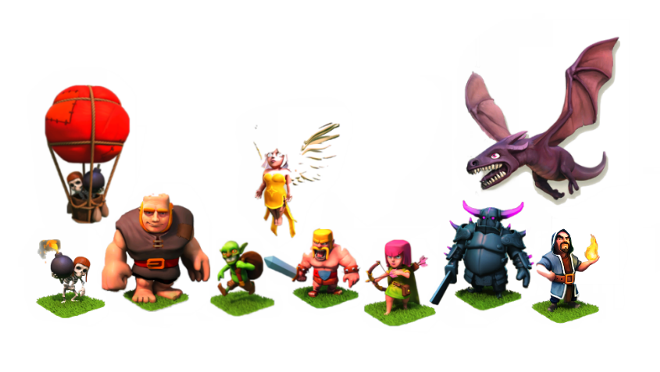 Here is an update on Clash of Clans. 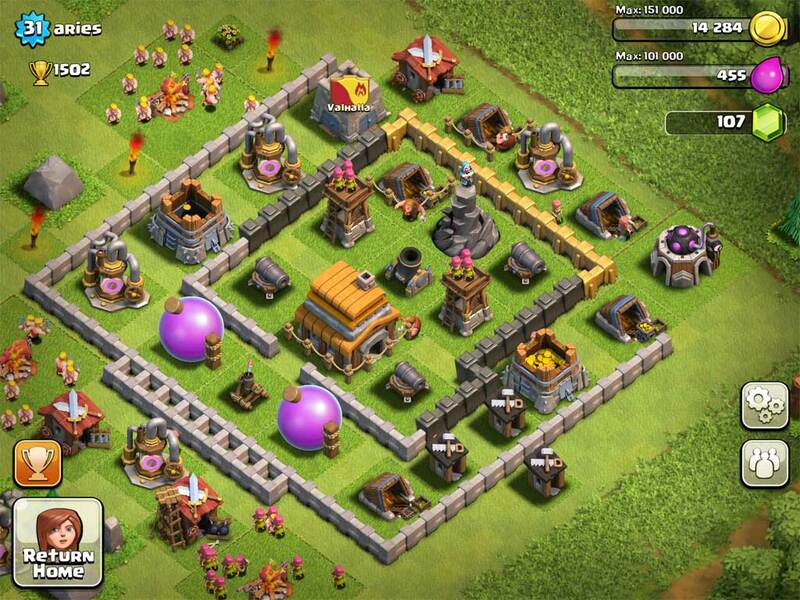 The previous post I did about Clash of Clans was about how a good defensive strategy would help you through the game. Today, I want to mention attack strategies. As people who play Clash of Clans will know, you have a whole range of troops at your disposal, including Barbarians, Archers, Giants, Goblins, Wall Breakers, Wizards, Balloons, Healers, Dragons and of course P.E.K.K.As. Each of these troops will have their own good points and bad points and each have a different purpose and use. So what is the best attacking strategy? As I said, there is no best attacking strategy as it depends on the type of village you are attacking. Let's have an example. Take this village for example, in my opinion, what you always want to do first is to hit the wizard towers and the mortars as they can easily annihilate your archers and barbarians. So sending in giants and wallbreakers from the east side to take the damage and destroy the defense towers would be good here. Not excluding that single mortar from the west also, send in giants there too. After the towers go down or are busy hitting the giants, send in the archers and barbarians, or some may prefer goblins to steal resources and gain trophies! Well, so that is it for a crash course in attacking other people's bases! Make sure you take out at least the town hall or half their base if you do not want to lose trophies! 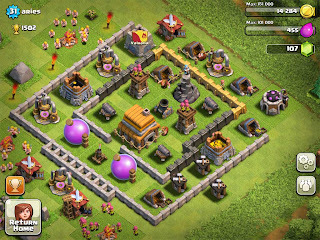 Of course you can always check out the Clash of Clans wiki for more information on attacking strategies. Best of luck to all Clash of Clans players out there and hope you become one of the best! This is Dennis "the menace" Lee signing off. Here is a video for you!